When the belly dancer begins her performance, the crowd becomes lost in her rhythmic movements, in the bold colors of her costume and the glint of the gold jewelry that she wears. 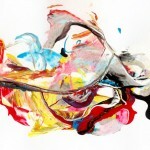 Similarly, Belly Dancer by Gordan P. Junior is an abstract work of art that truly captivates and transports the viewer. Alive with color, this vertical art composition features dominant tones of red, yellow, orange and black accented by touches of blue, purple and white. 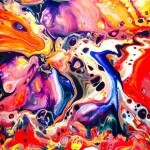 The eye-popping warm colors seem to be move before the eye due to the paint pouring technique used to produce the original acrylic on canvas work. 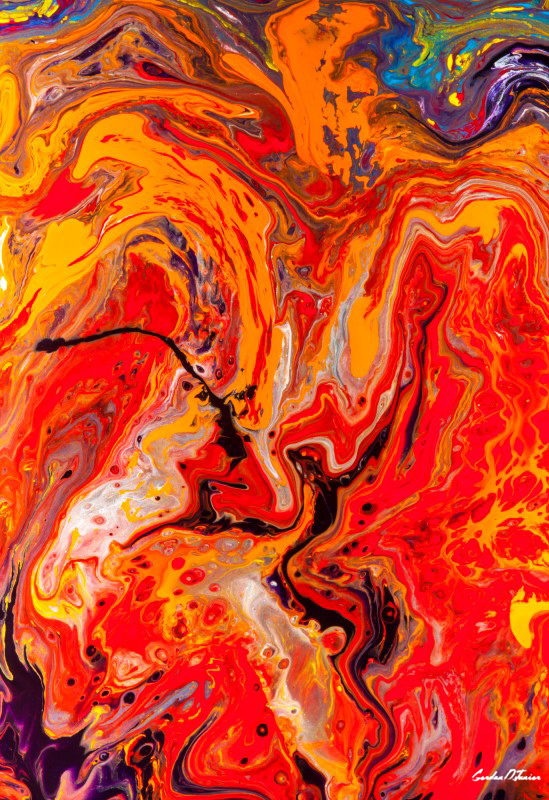 Belly Dancer – Warm abstract acrylic painting created in paint pouring technique. Vertical art composition with warm colors, red, orange and yellow as dominant colors.